1. First choose a smart and comfortable template for your blog which attract the users.make sure that template contains all the features like Search bar, sharing buttons, RSS feeds etc..
2. The next step is the content of your blog,keep posting great great content on your blog it is better to write on your own do not copy from other blogs. 4. Make a hobby of commenting and posting on other blogs and forums.post your blog url in other famous blogs and forums.this really work great your traffic increases day by day. 5. Check your Alexa Rank click here Add alexa widget to your blog. 7. Now create a facebook page for your blog keep posting your blog updates in that page so your blog fans may know whats new in your blog. 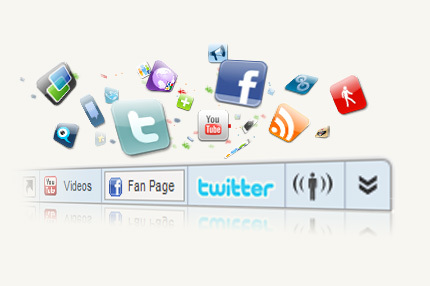 8. share your blog on facebook famous groups and fan pages so that many people will know about your blog. 9. Add a smart widget called Wibiya which contains all features like RSS, Recent posts, Translate, Facebook page, Tweets, Share, Online members etc..
10. If you have a youtube Account then make some videos upload it and add your blog url and description to those videos.